…Bargain hunters may not want to miss this quick public service announcement! In celebration of the 15th anniversary of Liz Earle’s cult Cleanse & Polish Hot Cloth Cleanser and for one day only you can purchase Cleanse & Polish for the original launch price of £9.50, saving over 25% off today’s retail price of £13! 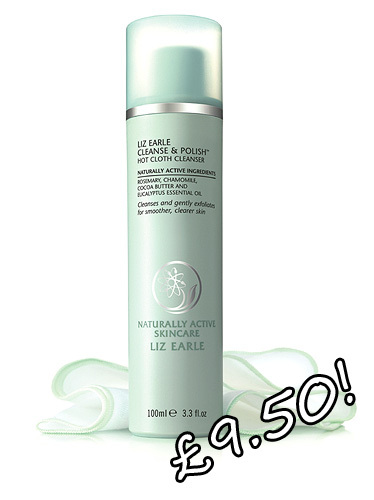 You can purchase it at this special price online through the Liz Earle website on Tuesday 15th June. Set your alarms! whooooooop thanks for that,I go through this stuff like it is going out of fashion!